Fulton Savings Bank recently honored sixteen employees for their years of dedicated service to the bank and its customers at the bankâ€™s annual employee outing held recently at Bayshore Grove. Fulton Savings Bank President & CEO Michael J. Pollock, top right, congratulates bank service award recipients. 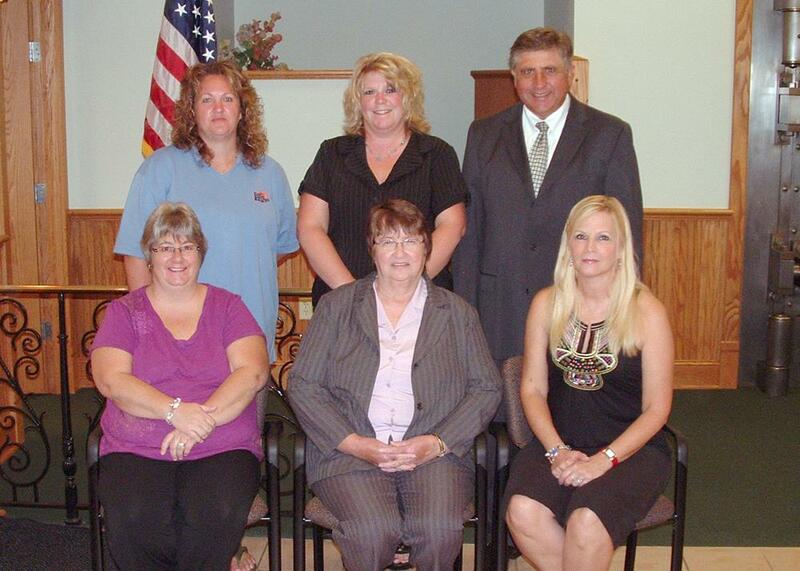 Seated from left to right: Kathleen Lell, fifteen years; Connie Maher, fifteen years; Ann LaRock, fifteen years; Standing from left: Julie Merritt, twenty years and JoAnne Pietrowicz, twenty years. Absent from the photo are fifteen year awardees Caren Finlayson, Randy Hoyt and Theresa Vescio, and twenty year awardee Laurie Inch. A total of 16 employees were honored for from five to twenty years of dedicated service to the bank and to its customers at a recent ceremony. â€œThese service awards recognize the dedication and promise of each of the individuals, all long-time employees of the bank, and their efforts in assuring Fulton Savingsâ€™ consistently high level of customer service,â€ said Fulton Savingsâ€™ President and CEO Michael J. Pollock in making the announcement. Award recipients with the longest years of service were: Laurie Inch, Julie Merritt, and Jo Anne Pietrowicz with twenty years of service. Those receiving awards for fifteen years of service were Caren Finlayson, Randy Hoyt, Ann LaRock, Kathleen Lell, Connie Maher, and Theresa Vescio. 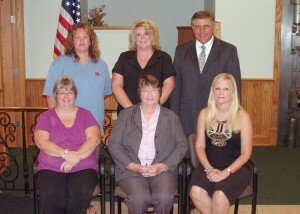 Awarded for ten years of service were Maribeth Halstead, Marie Jones, Lori Pople, Jessie Salladin and Annette Williams. Receiving awards for five years of service were Patrick Hamer and Jessica Shoults. Fulton Savings Bank honored employees for dedicated service at the bankâ€™s recent annual employee outing. Seated from left to right are bank service ten year award recipients Marie Jones, Annette Williams, Lori Pople, and Maribeth Halstead. Standing from left are: Fulton Savings President & CEO Michael Pollock who congratulated the awardees; Jessie Salladin, ten years; Jessica Shoults, five years and Patrick Hamer with five years of service to the bank. 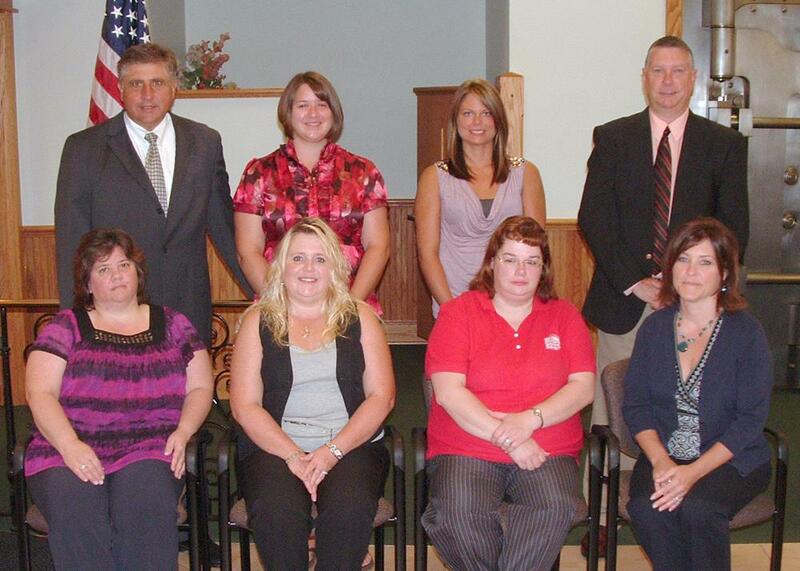 A total of 16 employees were honored for from five to twenty years of dedicated service to the bank and to its customers at a recent ceremony. Fulton Savings Bank was founded in Fulton nearly 140 years ago in 1871. Today it is still a New York State chartered mutual savings bank headquartered in the City of Fulton and is the leading independent bank in Oswego County with over $401 million in assets. The bank has seven full-service banking offices, five Express Banking ATM kiosks, and a loan representative office in Oswego. Fulton Savings customersâ€™ deposits are insured by the Federal Deposit Insurance Corporation to the limits allowed by law. The bank is an equal housing lender.